Bee Happy. Bee Involved. Bee, Nebraska. Located in Seward County, Nebraska, the Village of Bee is a small farming community that roughly 200 residents call home. The Village hosts a Central Valley Ag Coop location, a United States Post Office, a bar famous miles around for its year-round Friday fish fry, an historic ballroom, and a Catholic church. Bee is a community that prides itself on its community involvement, history, and small-town way of life. Village residents may now pay their Village of Bee water bills online using a credit card or direct transfer from their bank accounts. Click on the button below, or go to http://ne.gov/go/bee. 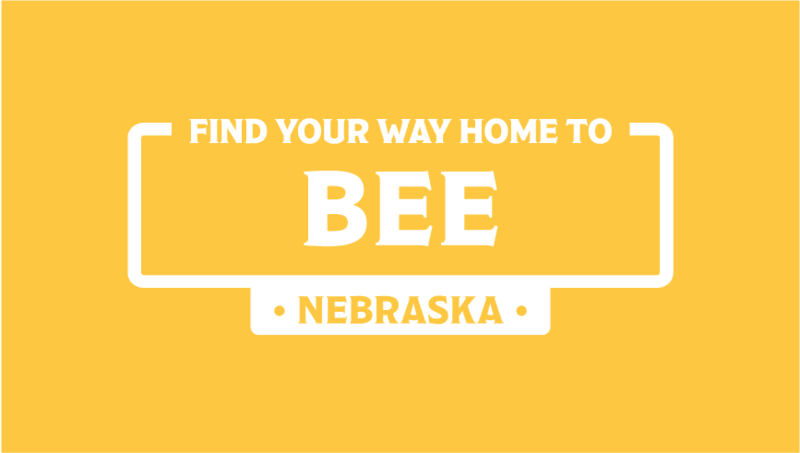 Welcome to the official website for the Village of Bee, Nebraska! Please check back often - we are continually updating the content on the site in order to provide news and information about the Village of Bee and its many events! A Honey of a Town! Questions or comments? Email us at beesiteofficial@gmail.com.